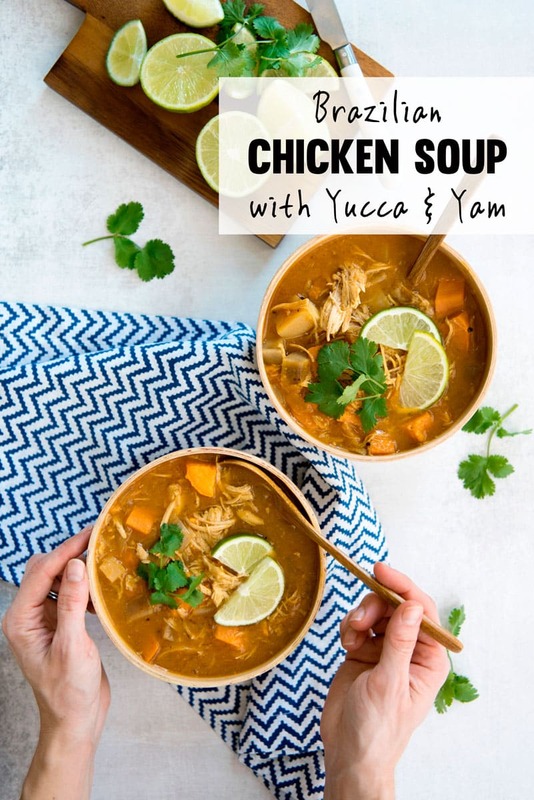 A delicious Brazilian Chicken Soup recipe with yam, yucca root, and shredded chicken. 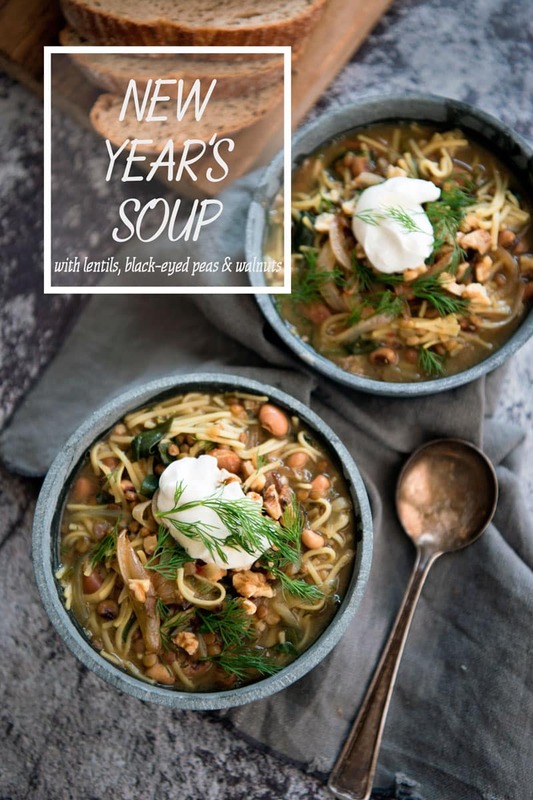 It’s hearty, gluten free, delicious and easy to make – just in time for National Soup Month! 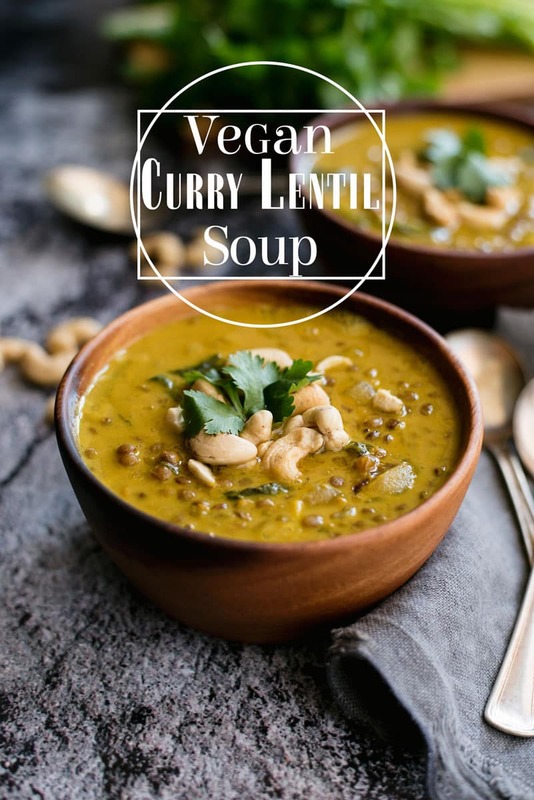 This curry lentil soup recipe with coconut milk and cashews is rich and creamy, plus it’s healthy and vegan. 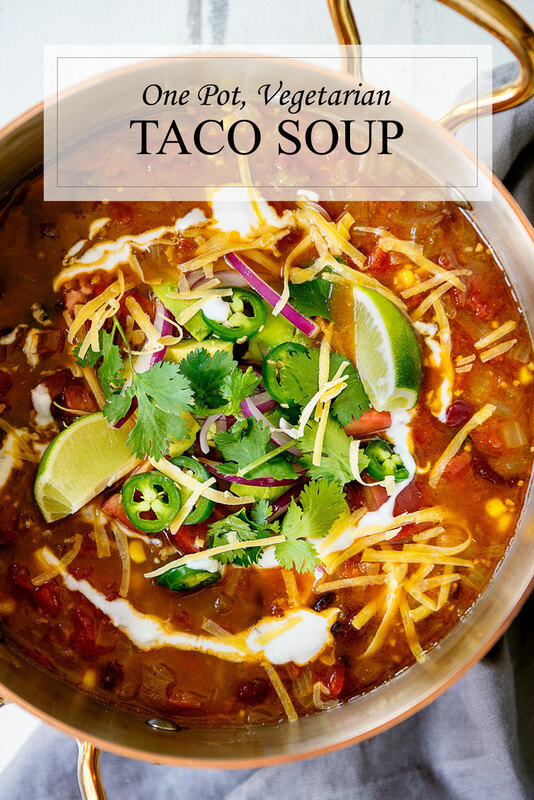 It’s so easy to make – and delicious! This time five years ago, Pat and I were in Thailand, where coconut milk is added to everything. Since that trip, coconut milk has been a more consistent addition to our cooking, including in this curried soup. Even though the spices aren’t necessarily Thai, it still makes me think of all the amazing food we ate on the trip. It has a richness that makes it perfect for winter and it’s filling enough to make it for a main dish. It’s also gluten-free and vegan. 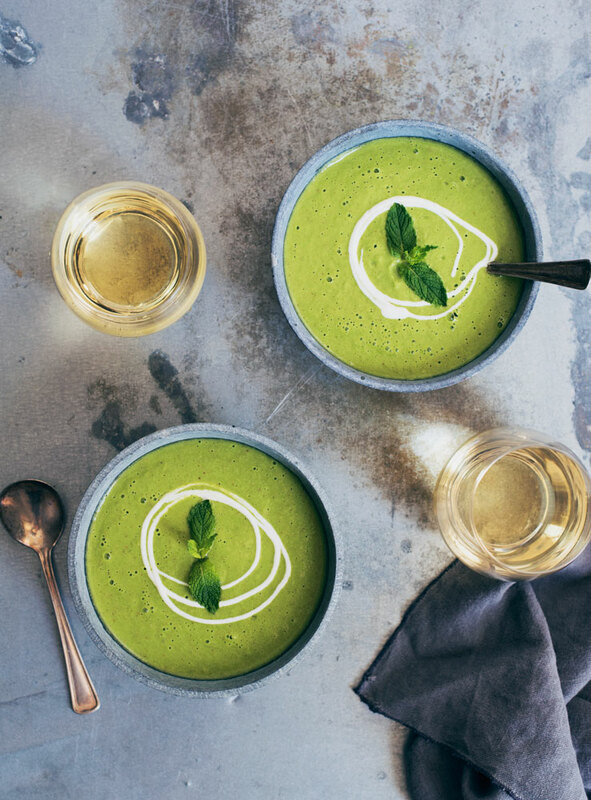 Chilled Green Gazpacho Soup is your new summer recipe. It’s healthy and almost entirely made ahead of time. Try it with an Alvarhino wine from the Vinho Verde region in Portugal. Gazpacho is the perfect summer soup. It requires no slaving away over the stove and it’s served chilled, which makes it super refreshing. Because of all of the Vinho Verde wines I’ve been enjoying lately, I was also inspired by Portuguese Soupa Verde Frio (Cold Green Soup) to put a green spin on gazpacho with tomatillos and leafy greens instead of tomatoes. Is it weird to have a crush on a bowl of chili? 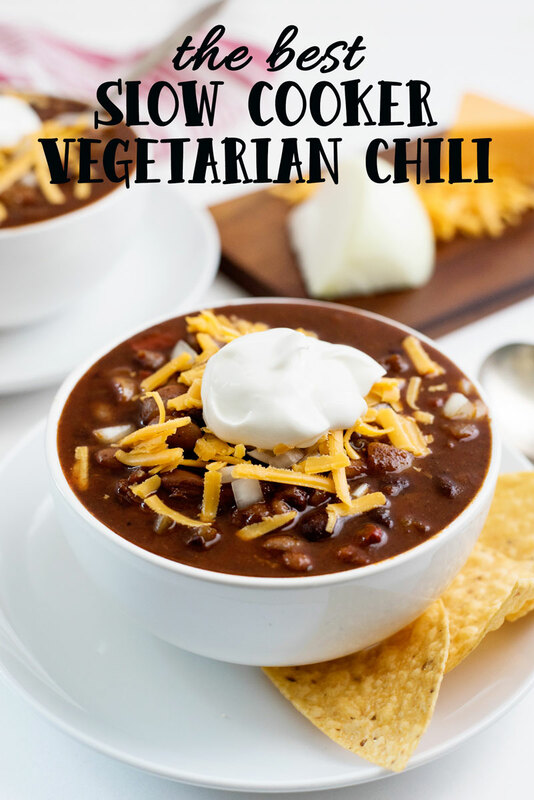 Seriously, this is the BEST vegetarian slowcooker chili recipe. 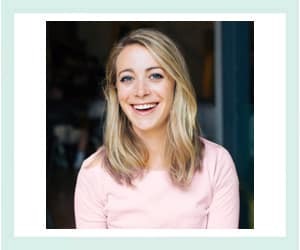 Healthy, gluten free + optional vegan. If you follow professional sports, you know that San Francisco is in a tizzy getting ready for a really big football game right now. You know, that one that starts with Super and ends with Bowl. Things about about to get crazy as thousands of people descend on the city.